As you might perhaps already know, the Gold Master build of iOS 5 was just released moments ago. 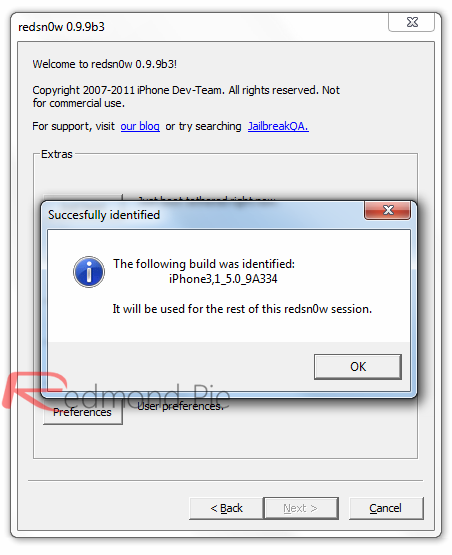 If you’re looking to jailbreak the new release of iOS 5, you can do so with the latest version of Redsn0w, just like you’ve been able to do using previous beta versions of iOS 5. 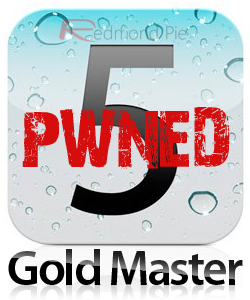 Redsn0w is capable of applying tethered jailbreaks to iOS 5, as also confirmed by MuscleNerd. A tethered jailbreak includes all of the features you’d expect from a jailbroken device, including Cydia, yet it will require the jailbroken device to be plugged into a computer running Redsn0w whenever it’s powered on, in order to boot into the jailbroken state. Disclaimer: as we have outlined previously, pre-release seeds (such as GM) will eventually evolve into the shipping version of iOS 5. Therefore, methods designed specifically for iOS 5, including an untethered jailbreak, will likely surface over the next few weeks or maybe months. If you decide to apply this tethered jailbreak now, you might have to restore your device using iTunes in order to apply another better-suited jailbreak. Note: This wont work on the iPad 2 or the iPhone 4S, just yet. Before performing this jailbreak, you’re advised to have a basic understanding of how your device and iOS operates. If you have the right knowledge, however, Redsn0w is really easy to use, since all the needed steps are laid out clearly on its graphical interface: simply follow the on-screen instructions and you should be up and running in a matter of minutes. Even though the new Redsn0w 0.9.9b3 does support jailbreaking without needing IPSW files, but since iOS 5 isn’t available to public yet, therefore in order to jailbreak iOS 5 GM, you will have to provide the firmware file for your version of iOS device, which can only be obtained legally from iOS Dev Center. Step 2: Download the new Redsn0w 0.9.9b3a for Windows (direct link) or Redsn0w 0.9.9b3 for Mac (direct link). Step 3: Click on “Extras” option, followed by clicking on “Select IPSW” option to manually specify iOS 5 GM firmware file to jailbreak your device. Step 4: Go back, and now click on “Jailbreak” option. Select “Install Cydia” and follow the onscreen instructions to enter DFU mode. Once you are in DFU mode, Redsn0w will inject Geohot’s limera1n exploit to tether-jailbreak your iOS device on iOS 5 GM. Step 5 (Booting into tethered mode): Once Cydia has been installed, you will have to boot your device into tethered mode. To do this, put your device back into DFU mode. In “Extras”, select “Just boot” and wait for the process to complete. Once done, you will be booted into tethered jailbroken state. 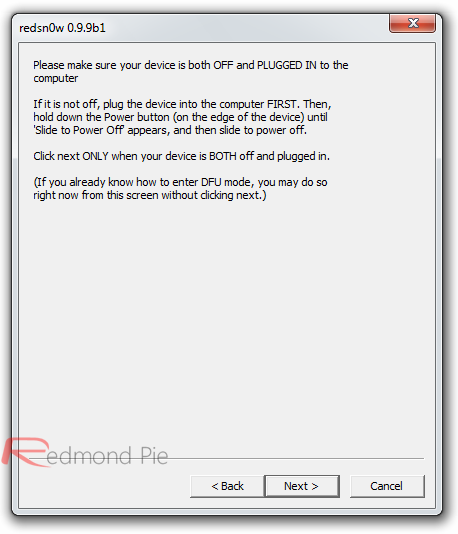 You will have to repeat this step whenever you reboot your iOS device. Jailbreaking your device is not legally authorized by Apple, therefore you should also keep in mind that your device’s warranty will be voided. Yet, addressing any software problem that might arise from this process is just a simple iTunes restore away. Sooner than you can call Apple’s support line, your device will be restored to factory settings. iOS 5 is the next major release of Apple’s mobile operating system, which runs on all iPhones, iPod touches and iPads. First announced at Apple’s annual developer conference, WWDC, iOS 5 include several new features that had been long wished for by basic and power users alike, such as system-wide Twitter integration, enhancements to Mobile Safari and Notification Center. iOS 5 will be available to public on October 12th.